Post from April 1, 2014 (↻ October 26, 2017), filed under Everything Else. I love reading, and over time I’ve been lucky to read many useful, and then a handful quite extraordinary books. Here I like to share my non-fiction favorites. As of right now. Please add yours in the comment section! Who can’t get enough of excellent literature. One note: As you see, I’ve selected these books in terms of the value that I got out of them. If you’re hoping for the finest writing styles, the greatest classics, or something super-exotic, I can’t deliver. But see for yourself. Experience is the product of the mind, the spirit, conscious thoughts and feelings, and unconscious thoughts and feelings. These together form the reality that you know. I first learned about Jane Roberts around 2000. A neighbor suggested I read Seth Speaks . He didn’t let me borrow the book; he sort of forced me to buy it. (He was concerned I wouldn’t read it otherwise.) I did buy the book, was… intrigued, and soon started reading by now all books related to Seth. 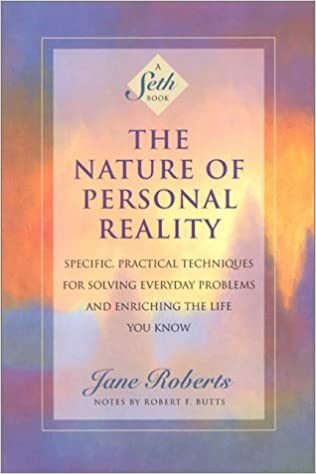 The Nature of Personal Reality must have been the second or third Seth book I read, and it had a lasting impact, building the core of my understanding of our reality, and inspiring and enriching my studies. I’ve gone through the entire book four times, and the key points about ten times. You see and feel what you expect to see and feel. The world as you know it is a picture of your expectations. The world as the race of man knows it is the materialization en masse of your individual expectations. What I particularly like about The Nature of Personal Reality is its immense depth. Every paragraph contains pages of wisdom, and every sentence needs to be read at least three times to be fully comprehended. ( The Seth Material is a great introduction into Seth thinking that’s a bit easier to understand.) The whole book lives. Everything’s a bit… magical. Different. Science finds itself reframed. The world begins to make sense. The ideas shared in this book are the only ones I’ve ever heard that do actually explain something about our reality, our existence, our lives. […] if you believe that you are at the mercy of physical events, you entertain a false belief. If you feel that your present experience was set in circumstances beyond your control, you entertain a false belief. You had a hand in the development of your childhood environment. You chose the circumstances. This does not mean that you are at the mercy of those circumstances. It means that you set challenges to be overcome, set goals to be reached, set up frameworks of experience through which you could develop, understand and fulfill certain abilities. I used to introduce this book to friends saying, “if you only want to read one book in your lifetime, read this one.” I say the same thing now. 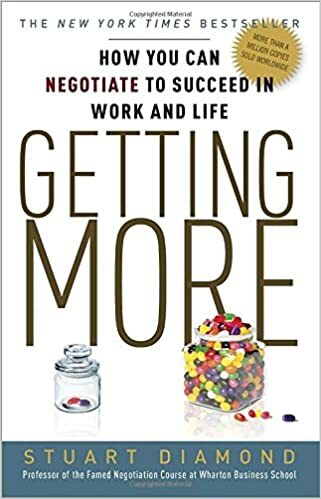 Getting More is an unreal book. I love it because it’s so incredibly useful. And although I don’t like to speak about money, it does work (to make better deals)! At the end of what seems to be an endless book, you do take out a number of lessons that help you lead better, more successful negotiations. Mr. Diamond demonstrates that he knows what he’s talking about, and he drives all his points home, probably precisely because of an endless array of examples. People do some of the most important things in life not for money, not for rational benefits, but for how it makes them feel. My favorite points from the book circle around the ideas of understanding or showing understanding for the other party, looking for ways to “make the pie bigger,” and not making ourselves the issue. I still think about “trading items of unequal value.” I ask for exceptions. I make sure I talk to the right person, the person who can actually make decisions, and grant exceptions. And I notice that indeed, a lot of useful information stuck, and benefited me—and, very important, the people I negotiated with. When you ask someone for their perceptions first, you value them, so they are then much more interested in listening to what you have to say. A fantastic book. I think everyone should read it. […] what each man does is based not on direct and certain knowledge, but on pictures made by himself or given to him. […] The way in which the world is imagined determines at any particular moment what men will do. I’m still deep in the trenches when it comes to my public relations and propaganda studies. These started to roll with Edward Bernays’s also very useful work Propaganda and, right this very moment, don’t even know their climax with Edward Herman’s and Noam Chomsky’s Manufacturing Consent . […] the mass is constantly exposed to suggestion. It reads not the news, but the news with an aura of suggestion about it, indicating the line of action to be taken. 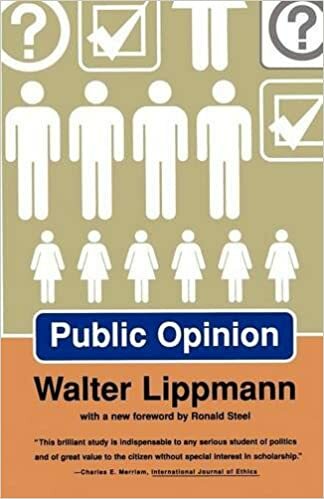 Mr. Lippmann’s Public Opinion is a gripping read, I find, and that not just because it’s dealing with a topic, in 1922, that affects us just as much today, but because he in a very clear, surgical manner—much different from how I’m writing here—describes how people can be influenced, and manipulated. He shows a remarkable eye for just how to use the media to move the public opinion into the desired direction. In real life no one acts on the theory that he can have a public opinion on every public question, though this fact is often concealed where a person thinks there is no public question because he has no public opinion. The technique, then, that I found most eye-opening when studying Public Opinion was probably the idea of staging, much like a false flag attack, an incident to use it to push into the desired direction. Maybe he borrowed from the “Hegelian dialectic” of creating a problem, controlling the reaction, and offering a solution, but what Mr. Lippmann does is informing in a very reproducible fashion that and how people—we—get manipulated and pushed down a path, essentially all the time. Status [as a “technique of irrelevance”]: […] Tearing down someone’s point of view just because he is homeless or building up someone’s point of view because he is obviously important. They tell us all about how important these people are before we have to listen to them. Mr. Vonsydow makes it into this list for also two reasons: One, he’s a “David,” and I liked to pull in an underdog book. An I believe self-published sort-of makeshift book about manipulation. 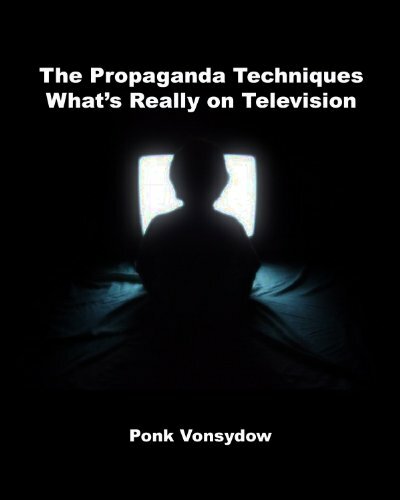 Two, the straight-to-the point style of The Propaganda Techniques to tak-tak-tak name 47—I also believe—methods of propaganda. Post hoc [as a “technique of form”]: This is the act of reasoning that if something happens after an event it was therefore caused by the event, this is an error of logic and rational thought. While the book is not complete—in a very real sense in that even methods described by said authors Bernays, Lippmann, and Chomsky are missing, not in the general sense of something must be missing—, I love it attempting to be precise and establishing a list that just shows you how people can and are influenced. Manipulated. Lied to. Disproving a minor point [as a “technique of maneuver”]: Say anything you want now. Try and make five points in a row to someone to make an overall point these days. They will interrupt you and argue with you before you make it to point two. We are all so full of [sh_t] we can’t even think anymore because we have a little argument for every minor point. Man is a thinking center, and can originate thought. All the forms that man fashions with his hands must first exist in his thought; he cannot shape a thing until he has thought that thing. Do all that you can do in a perfect manner every day, but do it without haste, worry, or fear. Go as fast as you can, but never hurry. Remember that in the moment you begin to hurry you cease to be a creator and become a competitor […]. 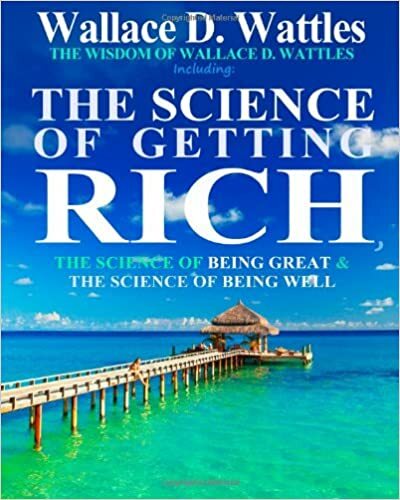 By the way, Mr. Wattles published The Science of Getting Rich in 1910. I’ve seen a number of books that are old but fantastic, and believe that we really need to be careful not to prefer only the latest in literature. An integrated man is able to embrace everything that makes him uniquely male; his power, his assertiveness, his courage, and his passion as well as his imperfections, his mistakes, and his dark side. I was unsure whether to include No More Mr. Nice Guy! in this list for two reasons. One, because the title is easy to misunderstand and with that almost embarrassing to me (what’s wrong with being a nice guy? is Jens not a nice guy? is he? did he used to be?). Two, because I’ve changed ever since traveling, and haven’t re-read book or my notes about it for a while. 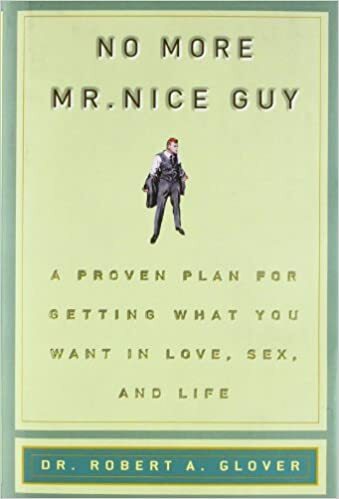 However, it did stand out very much among the books I’ve read, generally, across genres, and specifically around “men’s” or, let’s get it out, “pick-up artist” (PUA) literature (I had hinted at the fact that I had been part of that community). I define personal power as a state of mind in which a person is confident he can handle whatever may come. This kind of power not only successfully deals with problems, challenges, and adversity, it actually welcomes them, meets them head on, and is thankful for them. Personal power isn’t the absence of fear. Even the most powerful people have fear. Personal power is the result of feeling fear, but not giving in to the fear. If nothing else then this book is important because beyond its title, it sets one thing straight: Being a man, and that means being a man not just around women but also men, is, first and foremost, about growth. (It’s that for women, too, but let’s stick with the book.) People think that PUAs (which I’ve never really been, not a particularly good one) are all just after skirts and for that employ “sleazy” tricks and such. What’s really going on, in a nutshell, is that an awful lot of men who were all brought up in dysfunctional families, likely without fathers, bombarded by media superficiality, simply want to fall in love and be loved, and don’t know how to get there, and they don’t have an evil intent when taking on the not quite small, and possibly rather laudable, challenge that they’re facing. That’s a flimsy nutshell, but I don’t intend to have the full debate here. Connecting with men is essential for reclaiming masculinity. Building relationships with men requires a conscious effort. This process begins with a commitment to develop male friendships. In order to do this, recovering Nice Guys must be willing to make the time, take risks, and be vulnerable. The book is all about growth and personal fulfillment. And we’ll all figure things out eventually. These days I can say that from a vantage point that’s based on growth through study and travel. ❧ These were six books that have been very inspiring to me. If by any chance you were looking for technical books, I found Building Scalable Websites by Cal Henderson to stand out and be a very solid and recommendable piece, and similarly Security Warrior by Cyrus Peikari and Anton Chuvakin. They don’t occur to me as outstanding as the ones above, but both contain a good amount of knowledge, and with both I’ve enjoyed thinking that I’m adding something very solid to my technical foundation. Please share your thoughts, and any books you find “if you only read one book in your life” material. I happened to have the great pleasure to finish two books these days that I can consider extraordinary, too. One, mentioned, is Manufacturing Consent . The other, incidentally having popped up in my queue now (after just writing about Mr. Wattles), is The Science of Being Great . I found both works insightful reads, for their own reasons, however I’m keeping things at this.